This video has some Piston Honda through a low pass gate. I just added a Kermit to my modest Harvestman setup and had to immediately put it through some thick reverb. Another brilliantly designed module. So nice it gave me the shimmers. Completely blown away and surprised by the full harvestman system last night. 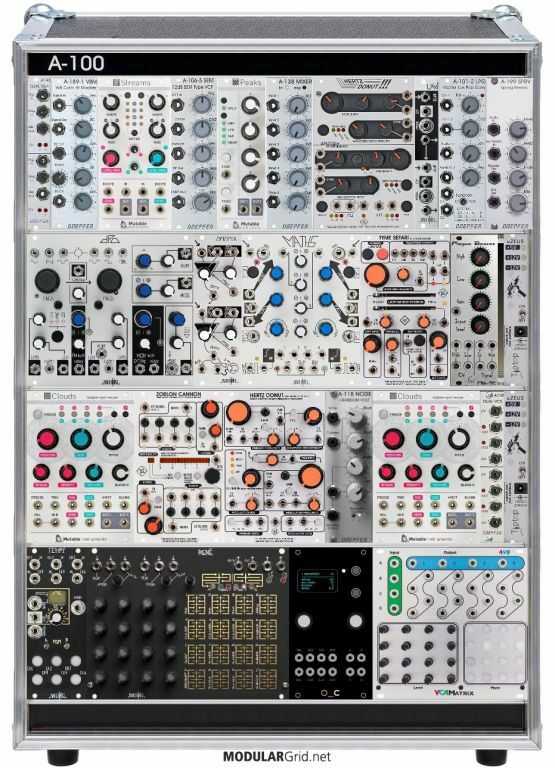 First time I've absolutely clicked with any eurorack. So organic at times, I swear it's analog. Love the andore - now that's a "real" deal complex vca/ad with 2600 style gain. Love the piston. So surprised at how lush the honut mk2 presents itself. The polivoks filter is superb also. Cant wait to jump on it again. And also track down a few mk ones. Can confirm the Honda and the donut sound pretty woody vacy through a opotomix. Personally, after a few years (3 to be more precise) I need to discipline myself with some rules. The most important thing that I did was to plan my setup with multiple cases (mostly for live shows) built around one company. I love the aesthetic, limitations and workflow philosophy. 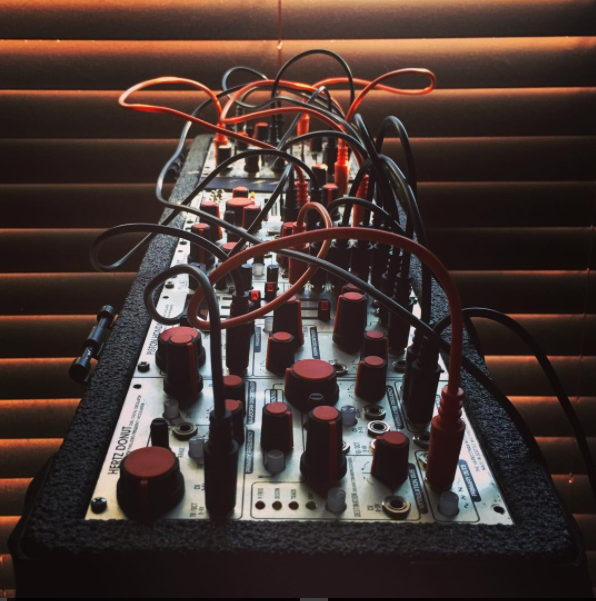 So, the rules goes like this : My Harvestman case should be portable, all orange knobs (I'll make a big order soon) and be bought used. Up to now, it work, but i'm struggling not to add a second row. If I had a second row, I would certainly add a SH MK2, ZC MK2, DA MK1, KS (if the switch problem can be resolve), a second Kermit and a BL MK2 (if it can come to life). And another Disting to fill the 4HP left. The wavetables on the DA MK2 would also be a dream comes true. I can't say what it is, but that 3U case makes me so happy... might be the boldness of the sound. For completion and historical preservation, I'll post some other Harvestsystems. This one is MoOkO oO's. The Devine Styler's borrowed case is worth it for the patch notes alone. 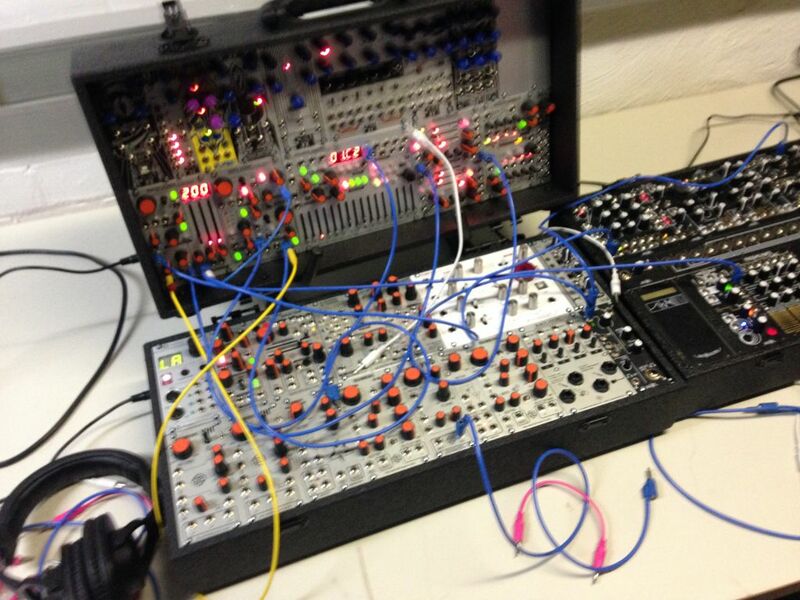 "I recently borrowed Scott Jaeger's 6U harvestman case after our last trash audio synth meet. 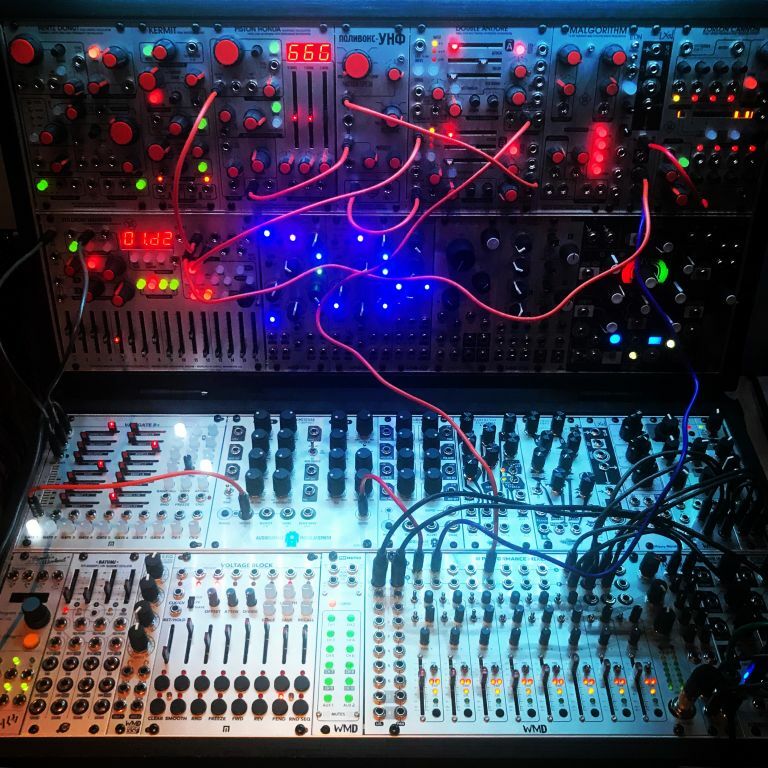 This patch is an experiment using some of his latest modules, Tyme Safari mark II, Zorlon Cannon Mark II, Hertz Donut Mark II, Piston Honda Mark II, Stillson Hammer, Bionic Lester, Double Andore and Polivoks VCF. The only other modules used where the MakeNoise Pressure Points, stg soundlabs .mix and Synthwerks FSR-4 Quad force sensing resistor module. The idea was to try and create a patch that utilized all of the modules in one performance. No sequencing of any kind just a play on textures and timbres using my hands. The only external effects used in this patch where the Eventide space and Strymon blue sky pedal. The Zorlon Cannon provided fluttering gates into the Double Andore trigger inputs. Top mix output on the Zorlon Cannon ran into the "B" input on the Bionic lester. For the low to high low bit bursts of noise filtered in band pass mode, with moderate gain input setting. Multiple sputtering gate outputs from the "A" outs section running into the "A Sound of Thunder" input sections triggering on and off the bend and format effects at different intervals to create complex digital clustering. Then taking the output of the "Tyme Sefari mark II" into the "A" input on the Bionic lester, creating the repeating glitching stutters scattered through out the performance. The Hertz Donut output is running into left side on the Double Andore, then CV controlled by the left side envelope output. Right side output from Double Andore going into the Piston Honda CV input then running both signals out the summed output. Combination CV outputs going into the Double Andore from the synthwerks top outputs. Drone pitches created via the pressure points tuned voyaged output top row yellow cable. There is also some gate and pressure outputs running into piston honda and time safari CV input. Double Andore right side output into the the Polivoks filter, filtering the wavemorphing of the Piston Honda. All inputs running into an STG soundlbabs .mix. Entire mix running through a Eventide space "custom preset". Hertz Donut output running into the Strymon "bluesky" reverb pedal in shimmer mode then back into channel 1 on the sty sound labs .mix." A good, obscure one from Ted Head Dress. manmademadman's Polivoks setup is killer. Thanks for posting mt3. FSA was actually a reference to one of your posts referring to my "feng shui addiction" re constant rack rearranging which is going to happen for me again tonight as I'm expecting the Tyme Sefari II today. Looking forward to it. This is an interview (en francais) with MoOkO oO mentioned above about his damn interesting ultraglitched case. Worwell Of course. From the Metasonix thread. ...but it's not helping my GAS at all!! What makes it generative? Curious because that word is very vague to me, very polysemous. Your use of "polysemous" sent me to the dictionary so I looked up "generative music" which came back with " a term popularized by Brian Eno to describe music that is ever-different and changing, and that is created by a system." This is how I generally think of it. The patch above had a lot of cross modulation between the Kermit channels, DA and the oscillators so used that in the description. My unicorny idea of "generative" is closer to something "self-patching". i.e., Begin with a set of unpatched modules. Turn power on. Watch it go! Otherwise it looks like to me a bunch of envelopes in cycling/LFO mode distributed to a bunch of switches and mixers before tangling into oscillators and VCAs. Most importantly, nice sounds as well. dysonant Excellent dissonance on the heavens and hells theme. Jouissance.